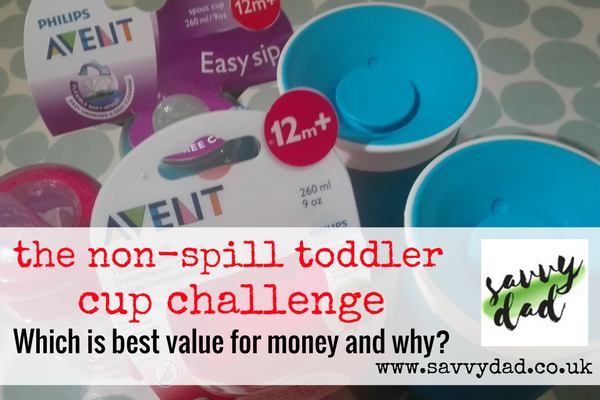 Toddler cups that don’t spill – The holy grail of baby and toddler products. Toddler Cups: In households across the nation cups full of drink will be being flung in all directions by babies and toddlers. Puddles of water dripping off tables, soaking wet patches on carpets, and unnoticed pools are amassing nationwide at the hands of our youngsters. It’s their mission to spill wherever possible; parts of the test your parents to the limits training they have programmed into their genetics. I wanted to once an for all attempt to find a cup that offered our 3 year old Little Savvy the chance to use a grown up cup with limited spill. 10 months old Baby Savvy was ready for the next step too. 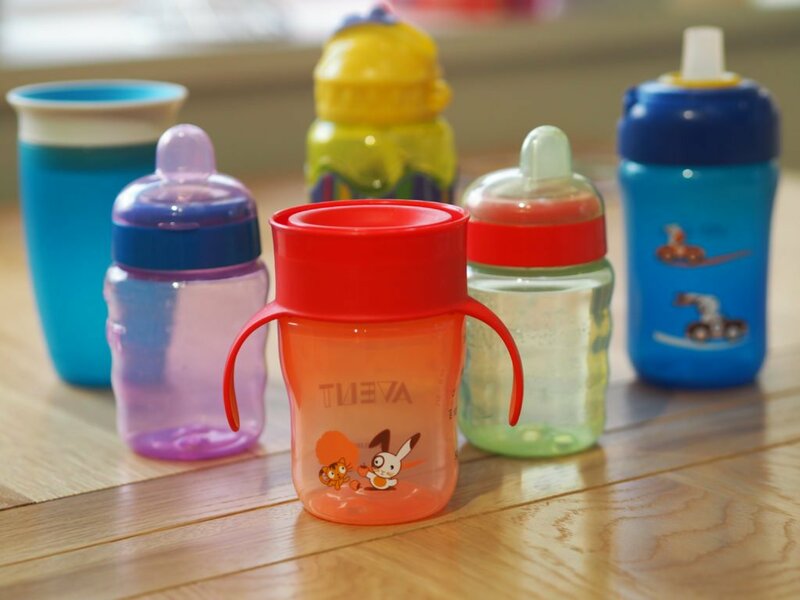 Labelled as different things, some call them trainer cups, toddler cups, sippy cups or transition cups. So I sourced various brands’ cups and bottles from online and toddler sale events, like the Asda baby event, ready for a testing frenzy. A few brands sent over samples too after I tweeted my mission. I wanted to look at cost, durability, ease of cleaning and use, plus the all important anti-spill test! I’ll list a few featured in the test and then focus more on the best few. 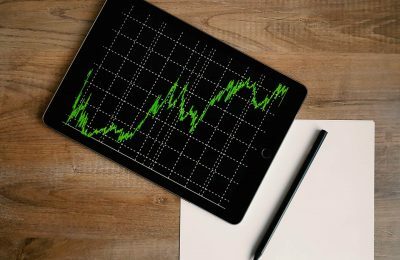 The items listed above were sourced to compare. I deliberately avoided “straw” based systems as I hate the hard to clean aspect of those for hygiene reasons. The exception being the Lansinoh system as I was intrigued by it. 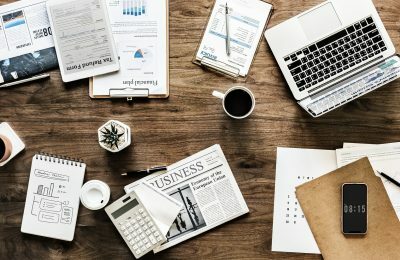 At the time of writing this article I attempted to find the best price and retailers to source it from. The prices at the time are listed above. All of the toddler cups were used over a period of two weeks in December to assess their individual merits or issues. 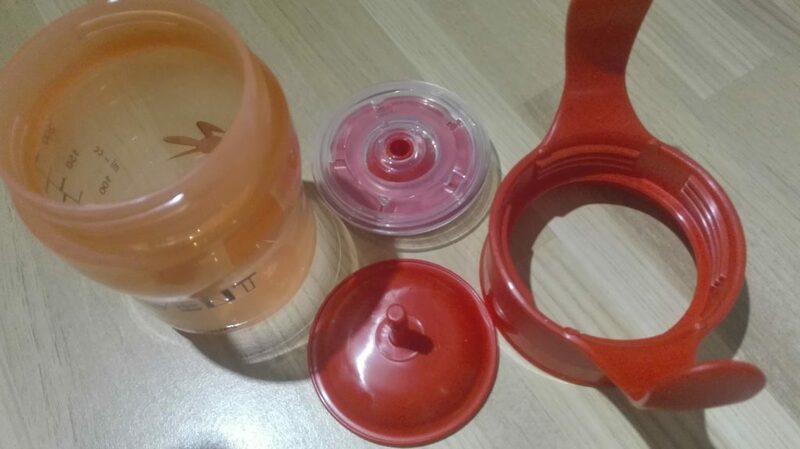 The Tommee Tippee Essentials First Cup was basic, but cheap and robust. It also survived drops without breaking. This size of the First Cup was too small for Little Savvy but just right for Baby Savvy trying to copy his big brother. The Vital Baby Trainer was a similar affair, did it’s job for Baby Savvy. But for 3 year old Little Savvy, we wanted the next step up. We wanted safety and ease of use, together with non-spill travel-friendly design. The Lansinoh mOmma Developmental Stages system gave a very cool option for covering the needs of both Baby and Little Savvy in one setup. It also had a good weighted base design to re-balance the bottle from falling over; imagine a weebl in bottle form. It was the most expensive option though. 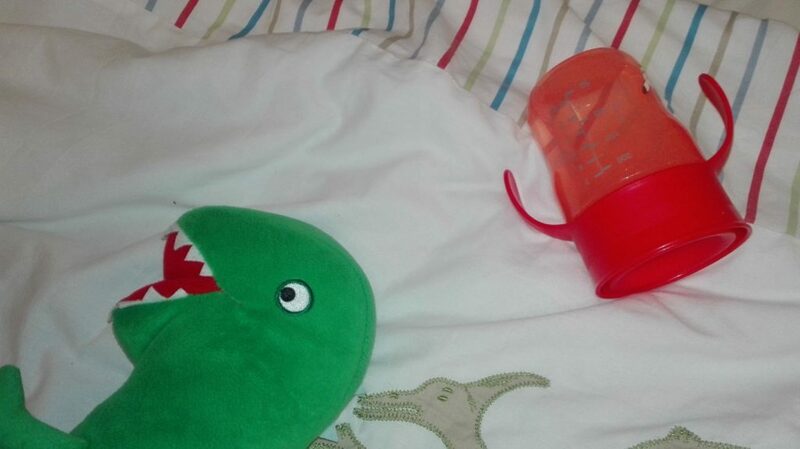 However, for a growing independent toddler, the Munchkin 360 Miracle and Philips Avent Grown Up Cup were the ones to take further. Best of the bunch – Top 2 non-spill toddler cups and the pros and cons. I’ve listed two cups as my recommendations, or main comparison, because both have something to offer over the other. So let me compare them side by side. First off, the Philips Avent Grown Up Cup. It’s a reasonable size, taking an amount of liquid comparable to that in a large Avent baby bottle. On long trips you’ll need a refill or two. It’s sturdy in build and can to my delight be held upside down without leaking. When dropped from table height (80cm approx) it safely contains water without leak or spray. In use Little Savvy drank easily from the 360 degree pivot seal top, but it did occasionally let more water out than expected meaning dribbles and small spills when in use. To dismantle and wash it was easy, the top clicked open and the inserts popped out. They all fitted easily into the top tray of our standard dishwasher with hygiene cycle. The handles were useful, but not needed and sometimes got in the way. The Avent Grown Up Cup was easy to reassemble, and after a few uses the whole family had the knack. Moving on to the Munchkin 360 Miracle Cup. It had a larger capacity than the Philips Avent Grown Up Cup, this meant it needed less refills. The design is sleek, and the soft membrane seal at the top is simply ingenious. When taking a drink Little Savvy found it natural and no dribbles in sight. When it came the the table drop test, the membrane allowed a quick spurt of water to spray 30cm or so. But then no further leak. The Munchkin 360 Miracle was by far the easiest to dismantle and rebuild after dish washing. The Munchkin 360 Miracle Cup just, and we really mean only just, won the race to top place for me. I highly recommend the Philips Avent Grown Up Cup too, but the lower capacity and very slightly more awkward cleaning and reassembly clinched it. 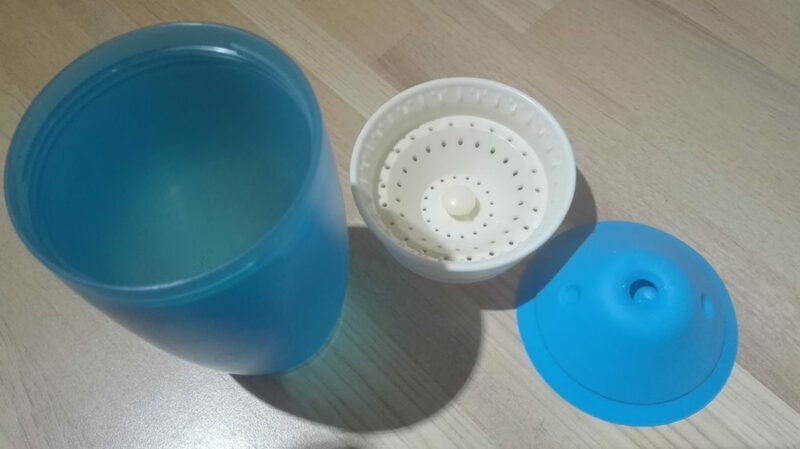 If you’re after a low cost, non-spill cup option go for the Munchkin 360 Miracle Cup. You’ll get the occasional spray when dropping, but it’s minimal when you factor in the quality, use and value of the Munchkin overall. 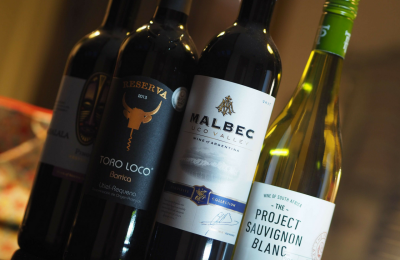 Disclosure: Some of the bottles and cups used in this review were provided by the brands. This in no way has a bearing on my comments and views which are entirely my own. 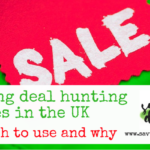 HotUKDeals & MSE - Where to find the latest hot UK deals. 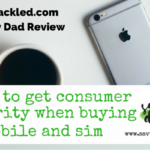 How to get consumer clarity on mobile and sim deals - An Unshackled Review.